Inspired by her heroine, Isabella Beeton, Delia has made a living writing a series of hugely successful modern household guides, as well as an acerbic domestic advice column. As the book opens, she is not yet forty, but has only a short time to live. She is preoccupied with how to prepare herself and her family for death, from writing exhaustive lists to teaching her young daughters how to make a perfect cup of tea. What she needs, more than anything, is a manual - exactly the kind she is the expert at writing. Realising this could be her greatest achievement (for who could be better equipped to write The Household Guide to Dying?) she sets to work. But, in the writing, Delia is forced to confront the ghosts of her past, and the events of fourteen years previously. There is a journey she needs to make, back to the landscape of her past, and one last vital thing she needs to do. 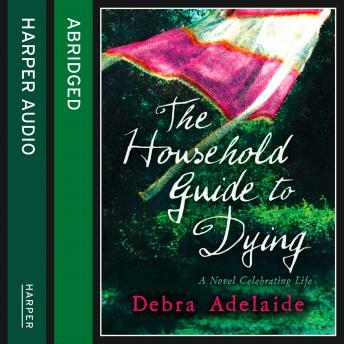 Hugely original, life affirming and humorous, The Household Guide to Dying illuminates love, loss, family and the place we call home.